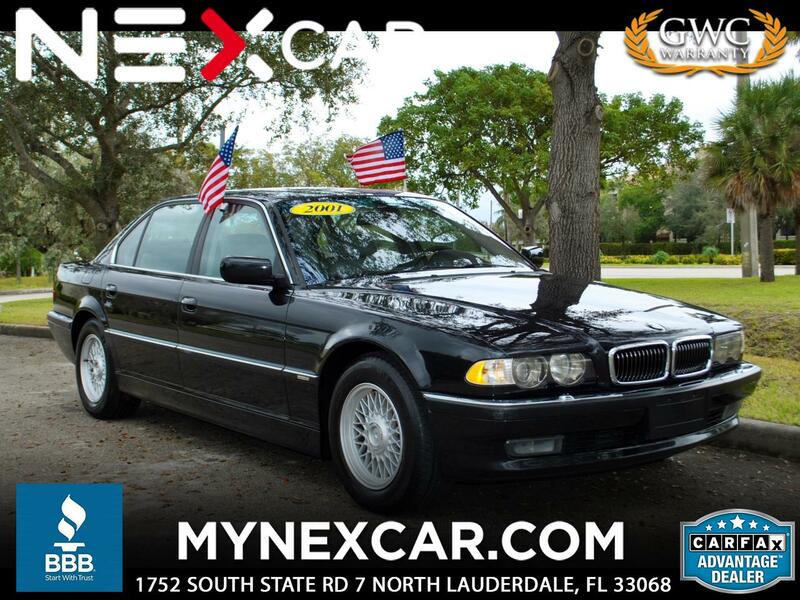 THIS ABSOLUTELY PERFECT BMW 740IL IS THE PERFECT LUXURY CAR ON A BUDGET. LEATHER INTERIOR WITH WOOD TRIM DASH AND CONSOLE, HEATED FRONT SEATS, FULL POWER WINDOWS AND LOCKS, SEATS AND MOONROOF. FACTORY TOUCHSCREEN RADIO WITH NAVIGATION WITH TAKE YOU ANYWHERE YOU WANT TO GO IN STYLE! THIS BMW INCLUDES XENON HID HEADLAMPS, ELECTRONIC STEERING WHEEL ADJUSTMENTS, DUAL CLIMATE CONTROLS AND STEERING WHEEL CONTROLS FOR AUDIO, PHONE, CRUISE AND CLIMATE CONTROLS. IT EVEN COMES WITH THE ORIGINAL BMW MOTOROLA STAR TEK CELL PHONE (ACTIVATION OPTIONAL) . Message: Thought you might be interested in this 2001 BMW 7 Series.